Businesses that succeed online provide user-friendly and relevant content to their potential clients and customers. But that content needs to be optimized for mobile devices if you expect it to reach the largest potential audience in this day and age. Many people today view everything on their phone or tablet, from social media to local news. If your website or content isn’t optimized to load quickly or read well on someones phone or tablet, that person is much more likely to visit your competitor’s webpage that suits their needs and is easy to read. Optimizing for mobile content is somewhat different than optimizing your content for desktop browsing. Mobile content focuses primarily on the following fundamentals. Frontloading Since many mobile users are looking for their information while moving, the most important information needs to be towards the top of the page where they are more likely to read it before moving on. Paragraphs When optimizing for mobile, content should be shorter to account for smaller screen sizes. Titles These should also be shortened to account for smaller screen sizes. Visuals Visual media, including images and videos, help keep active mobile users’ attention. Optimizing your plumbing companies content and web pages for a mobile mindset will take work. It’s very different from crafting quality content that you’d expect someone to view on a personal computer. 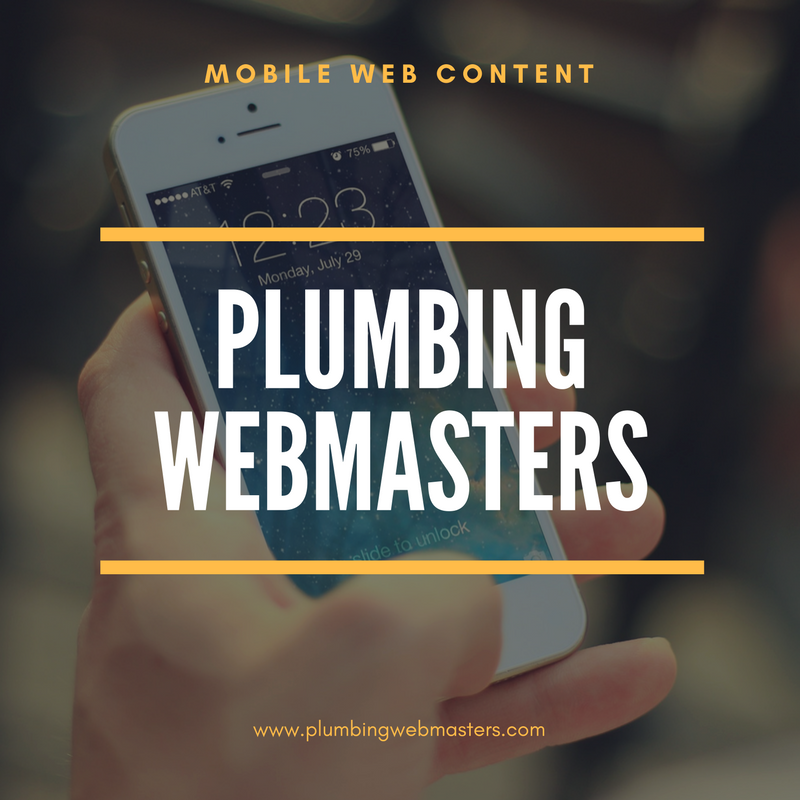 The team at Plumbing Webmasters is experienced in mobile content optimization and ensures that your plumbing business maximizes your conversion rate related to mobile users. For more information about how to optimize your website for mobile browsing, contact the Plumbing Webmasters team at (877) 388-9884 today! Mobile users won’t spend the same amount of time looking at your content as someone viewing it from a desktop. 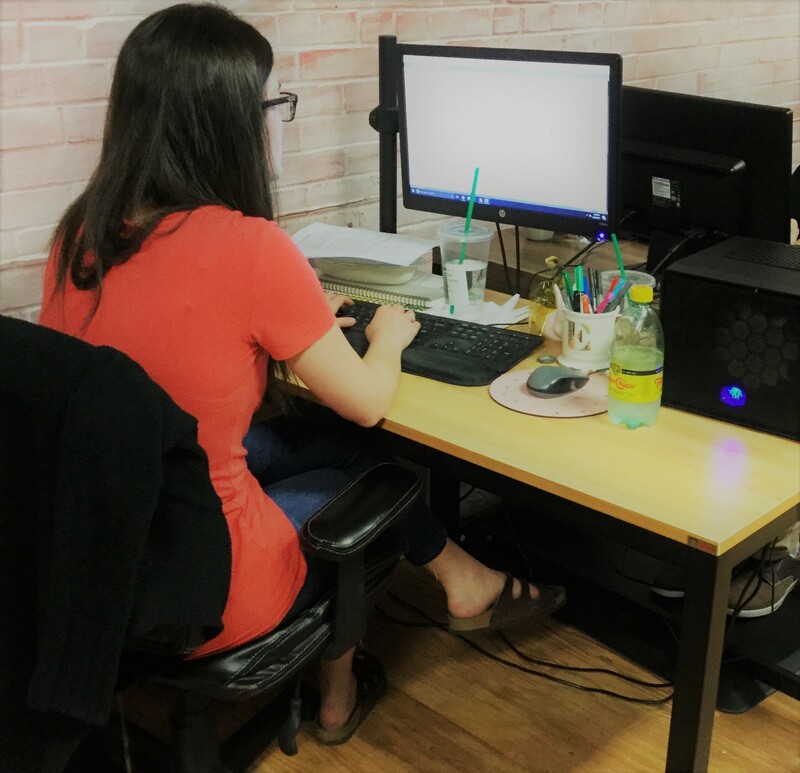 The smaller screen and passive viewing through other activities mean the best way to keep a potential client viewing your website is through visual content. If your website is slow, people are more likely to navigate away from your page and to your local business rival’s website instead. If you capture a person’s attention, you’re more likely to have them complete a call to action listed on your site, which in this instance is probably to call you to learn more about your plumbing services. That means having links that directly dial your primary office phone number for people viewing your site on mobile. Visual content includes the following. It is imperative that you account for the smaller screen size when optimizing your content for mobile users. The longer a person has to scroll on their phone to find your call to action, the less likely they are to actually complete it. By frontloading your content and having clickable buttons available earlier and somewhat more frequently, you’re increasing your chances of turning a potential client into an actual customer. Contact Plumbing Webmasters at (877) 388-9884 to learn about the benefits of mobile content optimization for your business today! 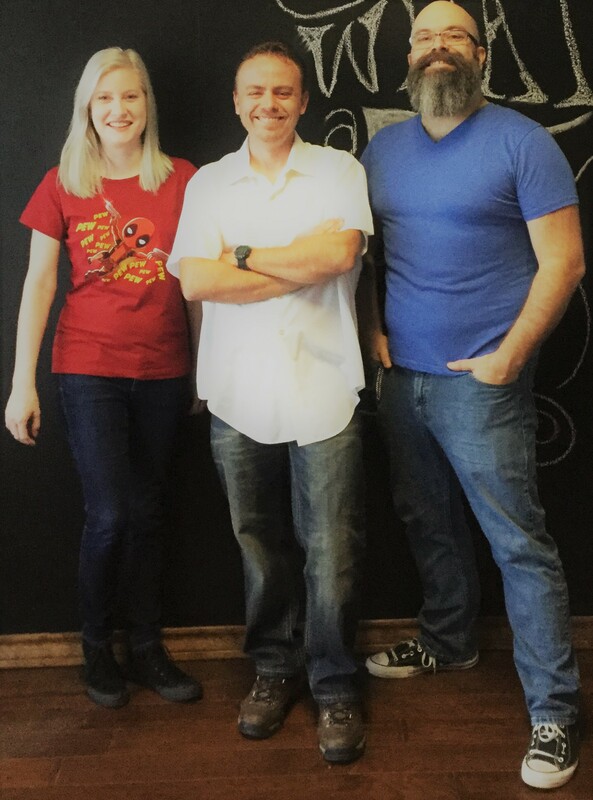 Our Team of Organic SEO Experts Is Standing By to Produce Quality Mobile Content For Your Plumbing Business. As stated earlier on this page, being able to press a visual cue to perform a call to action is incredibly important to your mobile viewer. No one wants to take the time to switch back and forth between their phone and web browser to enter a plumbing company’s phone number. Since many mobile users are viewing your page while out doing something else, they aren’t as likely to have a pen and paper to write down your information. That’s where click-to-call functionality demonstrates its value to you. It not only gives your potential client a visual cue for your call to action, but it also does the work for them. That improves your odds of getting someone reading your content on a mobile device to actually call you by making it as simple as pressing a button. Features like this help your company succeed in the long run. The team of Plumbing Webmasters is experienced and knowledgeable enough to make this addition and many more to your website. We offer several different kinds of plans in which we take over your online content marketing and optimize your website for mobile viewing. Give Plumbing Webmasters a call at (877) 388-9884 to get started optimizing your website for mobile devices to see an improvement in your conversion rate right now! Updated on March 29, 2019 at 6:28 pm by Plumbing Webmasters.